Over the past decade the retail landscape in Sri Lanka has changed with the evolving needs of shoppers. The ubiquitous traditional trade of yesteryear – family-owned grocery chains, small independent stores, and informal merchants – is slowly giving way to modern trade – supermarkets and hypermarkets – which seems to cater to a rapidly urbanising population looking for competitive prices and greater convenience. This change will only increase in the coming years and the need to change and adapt will become a must do for traditional retailers in order to avoid being made obsolete. While still in the low double digits in terms of overall penetration, modern trade seems poised to take over Sri Lanka’s retail space. This was further validated by a Fitch Ratings report from November of 2017 which stated strong growth prospects, in the mid-teens. This is evident with the current modern retail’s aggressive expansion plans and their strategies in attracting foot fall and increased basket values to achieve same-store sales growth while getting a substantial growth through new store openings. We anticipate 20% of this growth in the next five years to come from the ongoing expansion of the modern trade outlet network. 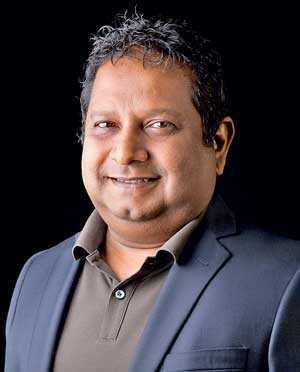 Adding to the complexity of this landscape is the entry of international players who see potential in Sri Lanka and who bring with them advanced technology, superior supply chain management capabilities and modern processes. These capabilities are designed and used to deliver what a modern shopper looks for and provide shopping experiences that cater to a wider cross-section of shoppers on varying missions. Retailers today work tirelessly to understand the varying needs of shoppers in order to cater to their missions. Shopper research allows retailers to focus their offerings to meet these respective shopping needs and trips. Ranging from, for example: shoppers who stop on their way home after work to pick up a few groceries to the shopper who visits a store with his family over the weekend and browses the aisles for a longer duration of time. In this evolving retail environment, supplier and customer relationships need to change dramatically from the contemporary transactional negotiation to more collaborative and co-creative joint business planning. We need to move away from the approach of negotiating to achieve a certain sales target or profitability goal that is based on historical data; to how we can delight shoppers. Ensuring that we engage with them, fulfil their purchase expectations to ensure repeat visits and prevent shoppers from shifting channels or customers. The progressive consumer will also look at innovations and higher order benefits. Meaning that both the supplier and retailer need to be privy to what these trends are. At Unilever, we actively collaborate with our retail partners from across the spectrum, exchanging insights into local consumer behaviour while sharing learnings and best practices from around the world. While modern trade has long understood this, general trade too has begun taking notice of it. This has been aided by the entry of second and third generation family members into these businesses. Having been exposed to the transitioning retail landscape during their travels in some of the more developed markets, they are more open to change. They are keen to implement elements of shop layouts to give their stores the ambience of modern formats and actively seek out partners who can support them in this aspect. As part of our continued efforts of ‘Selling with Purpose,’ Unilever Sri Lanka ventured in to a pilot project with partners from the general trade who were facing challenges caused by such changing market conditions. Aware of the need to transform their operations in order to stay competitive, they were open to views and insights across a spectrum of indicators. Sessions were conducted in our country collaboration centre that showcased emerging retail technologies and their impact in the marketplace. Co-working on solutions and changes to make the project sustainable in a fast changing retail environment. Implementation of these proposed changes gave retailers an astounding high double-digit growth, with the success attributing to the expansion of this initiative to more general trade partners. In addition to the growth, the most encouraging factor is the mindset shift in these retailers who have seen the benefits and now view the initiative as one that is sustainable. Without a doubt, the ultimate beneficiary of this collaboration is the shopper who is given the experience akin to that of a modern trade store. There are many changes happening within the country and around the world. Almost a decade after the end of the civil conflict, Sri Lanka is still finding its footing on the global stage but has attracted the attention of many international businesses thanks to the immense possibilities available. However, not every local business will be able to adapt to the new norms of growing international competition and evolving consumer needs and thrive by itself. Working together to help them identify possible issues and solutions and a healthy exchange of learnings and knowledge can make all the difference to these businesses and the people they support. And I firmly believe that as responsible corporate citizens, all organisations have a duty to play a part in this transformation.